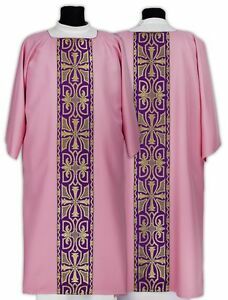 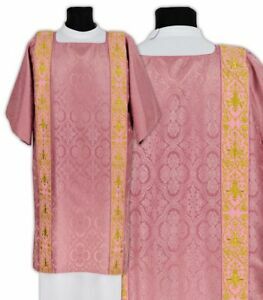 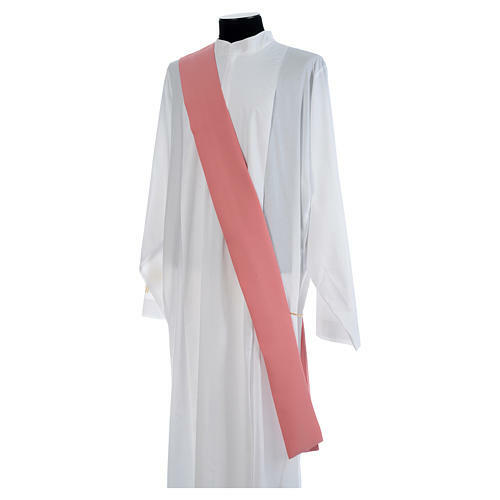 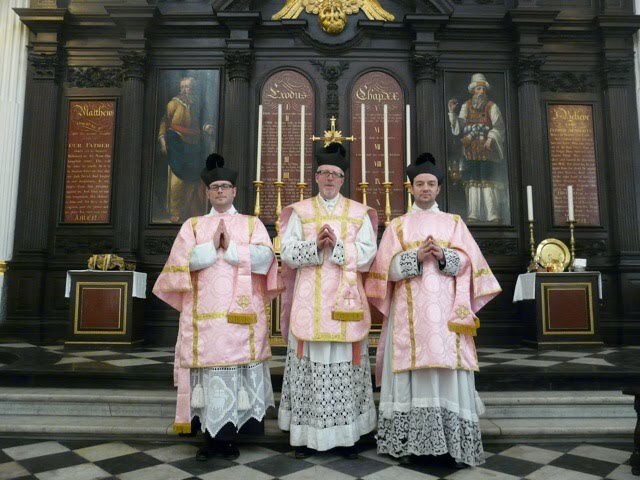 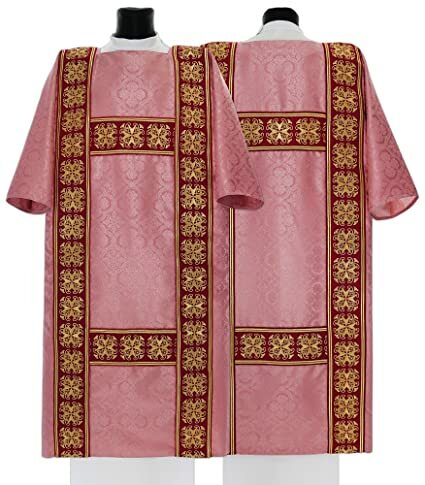 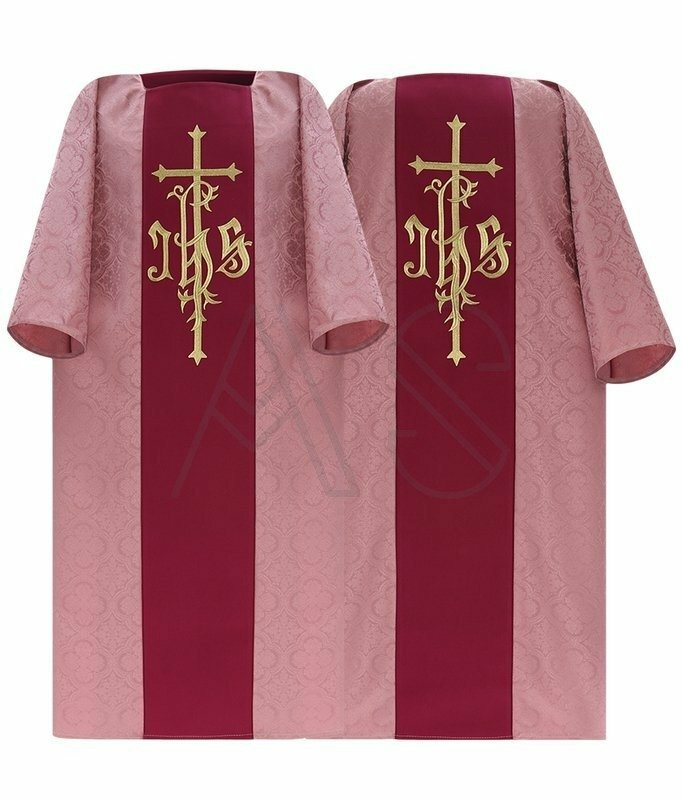 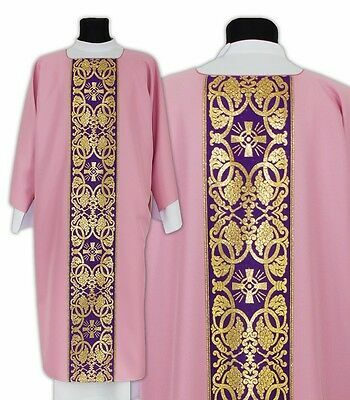 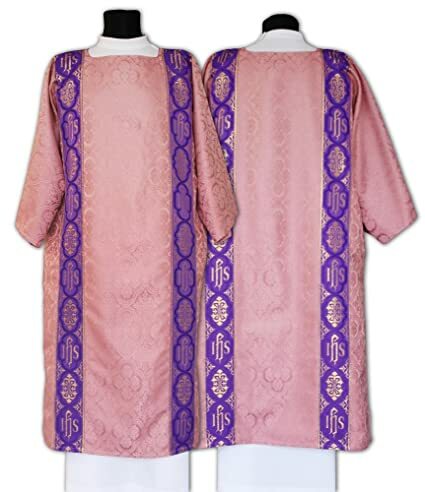 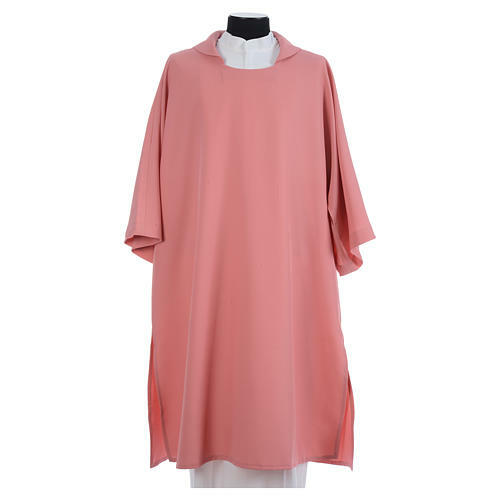 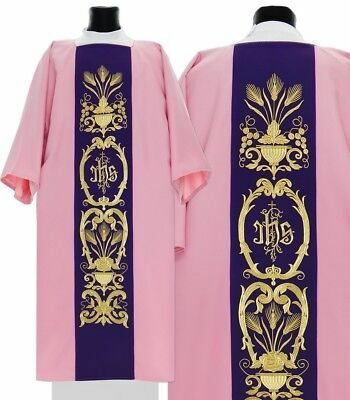 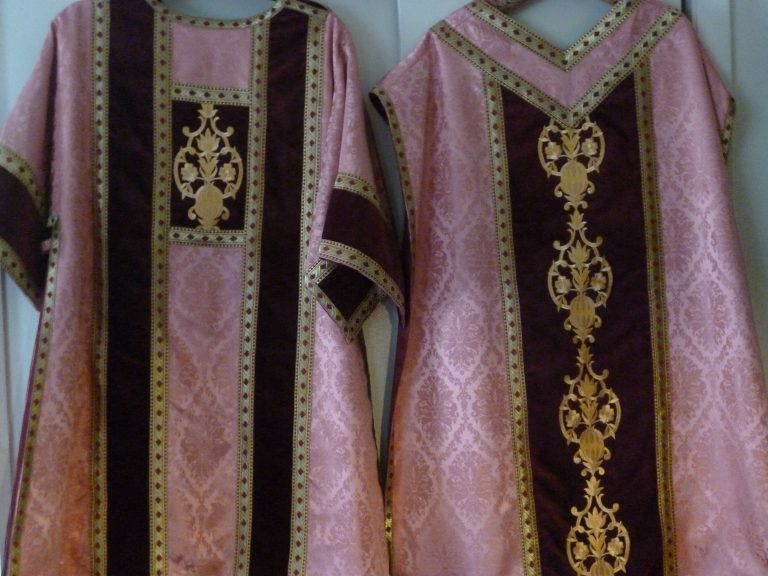 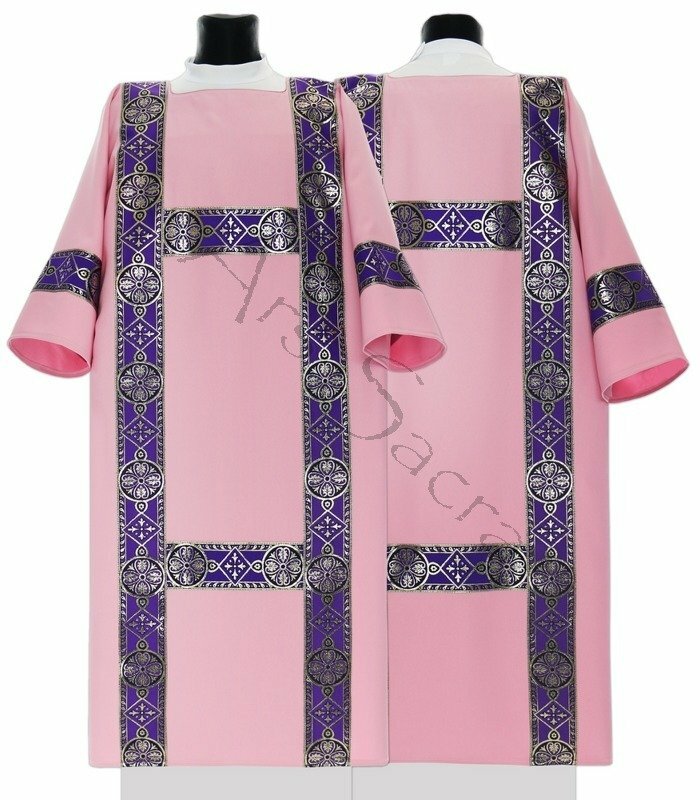 Rose-coloured vestments were worn, with the Deacon and Subdeacon wearing Dalmatic and Tunicle to lighten to the mood of Advent. 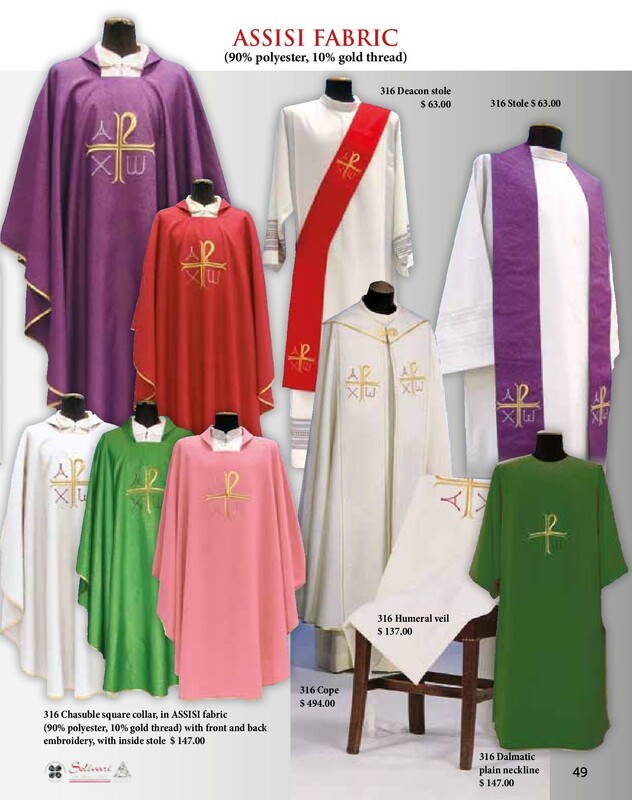 Cross with Crown Cross in White with Gold Crown available in all Liturgical Colors. 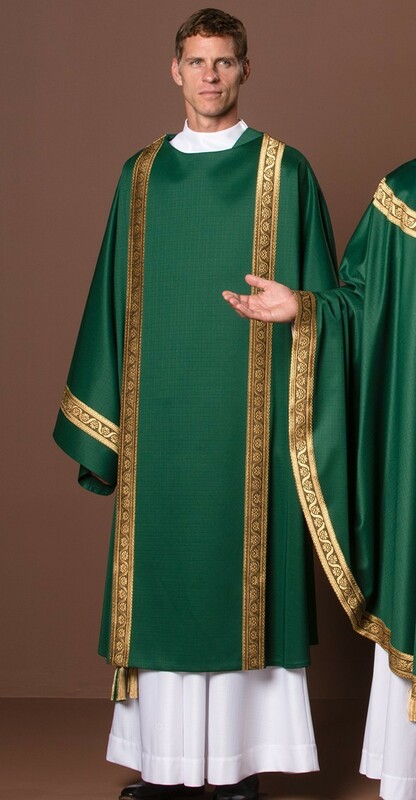 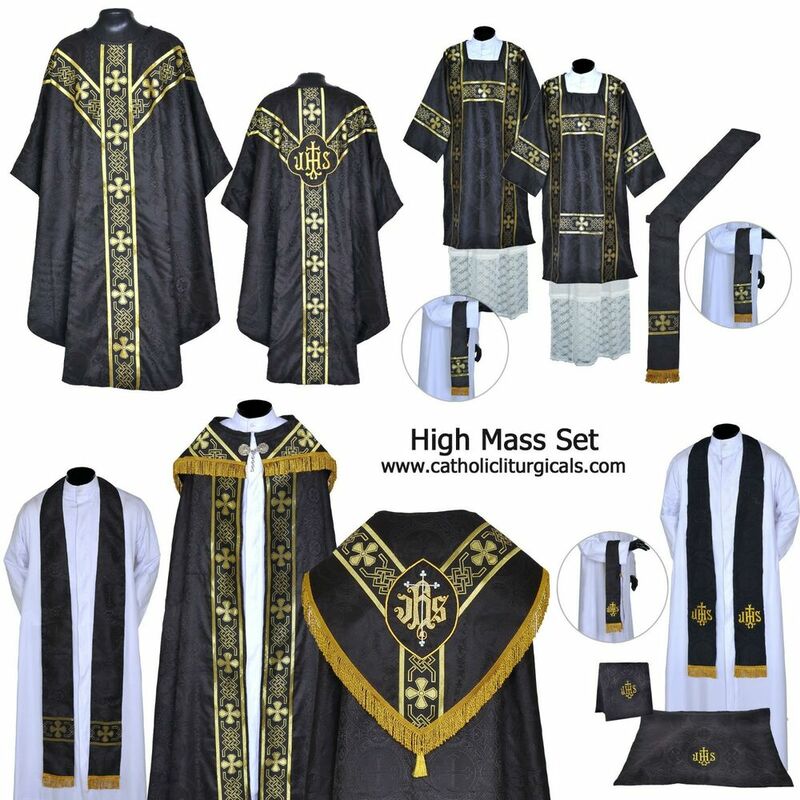 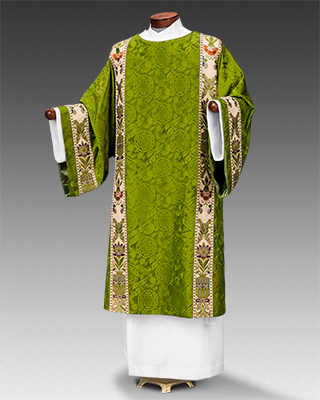 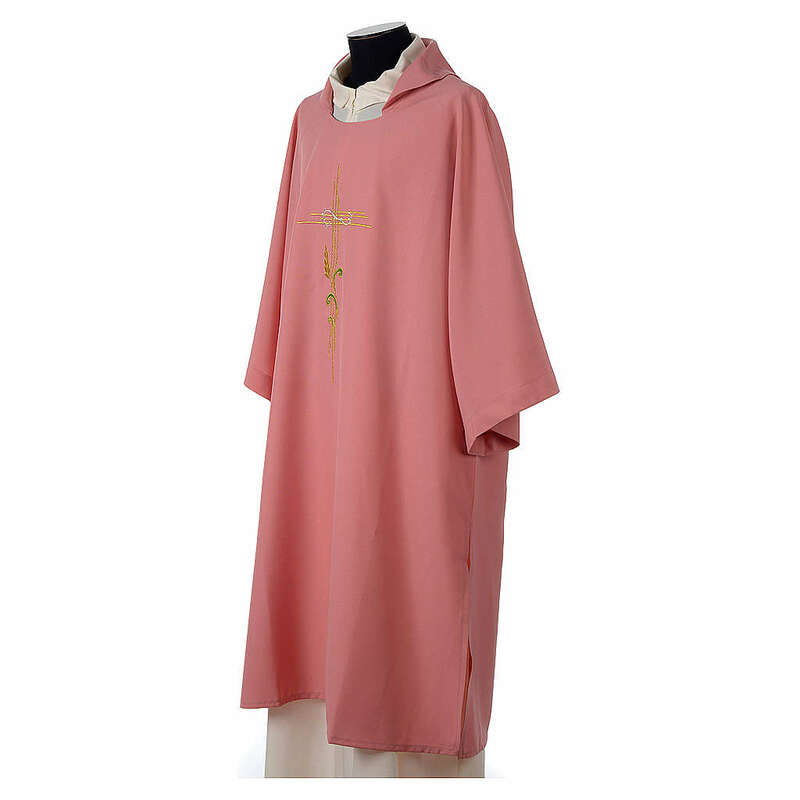 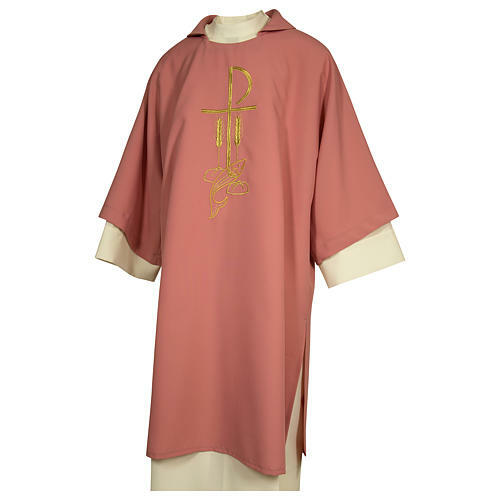 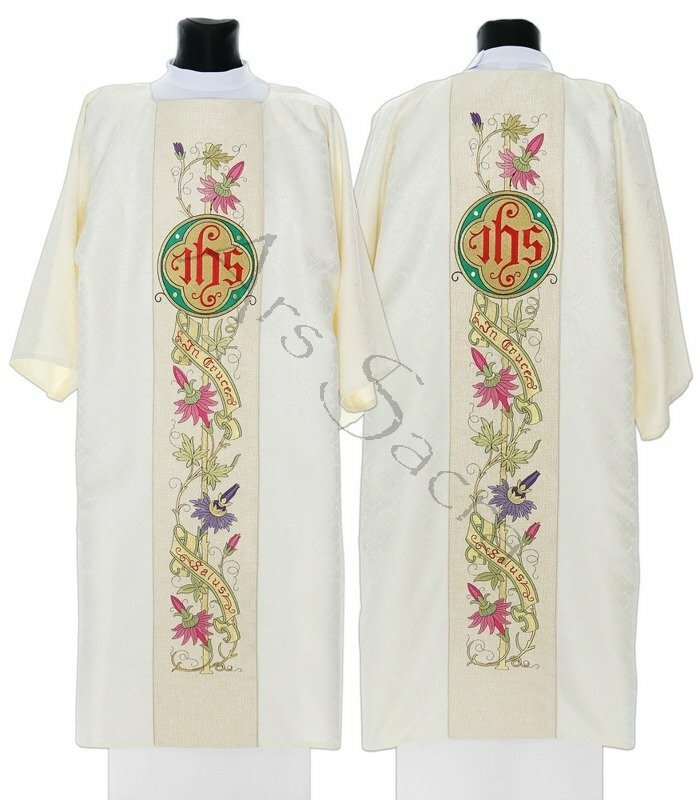 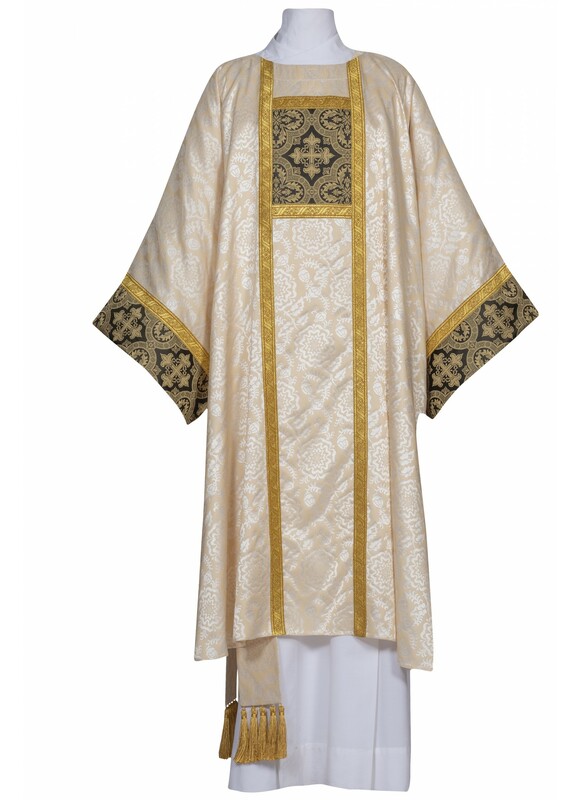 (shown in kelly green) D842 -Dalmatic as shown left - $207.00/ea. 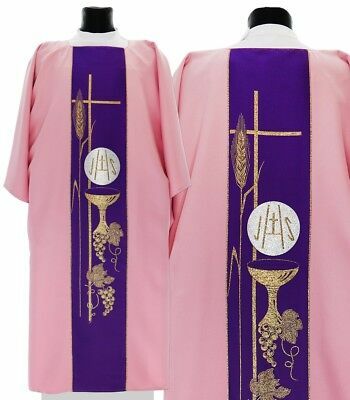 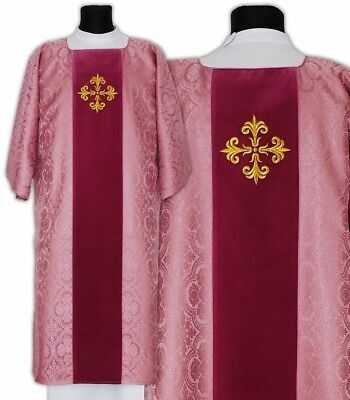 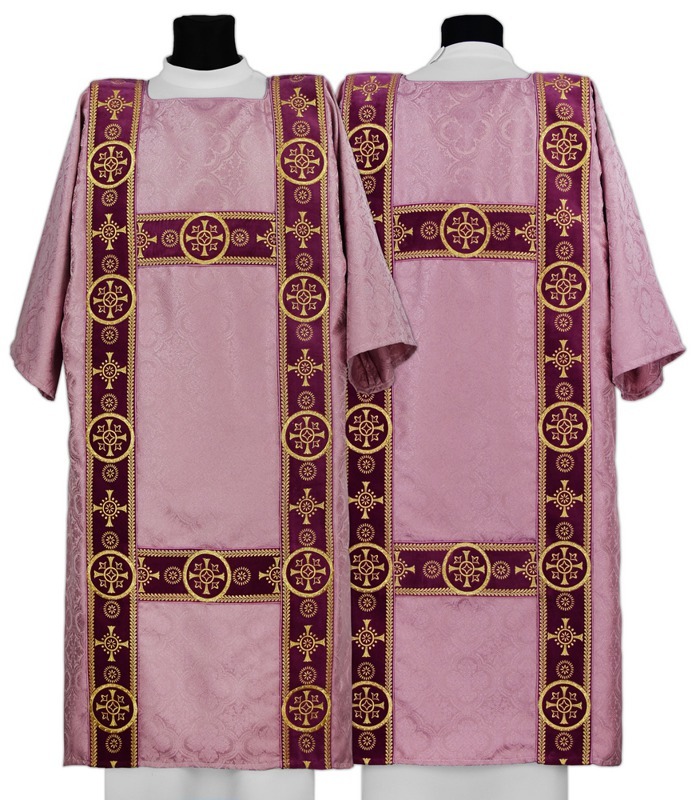 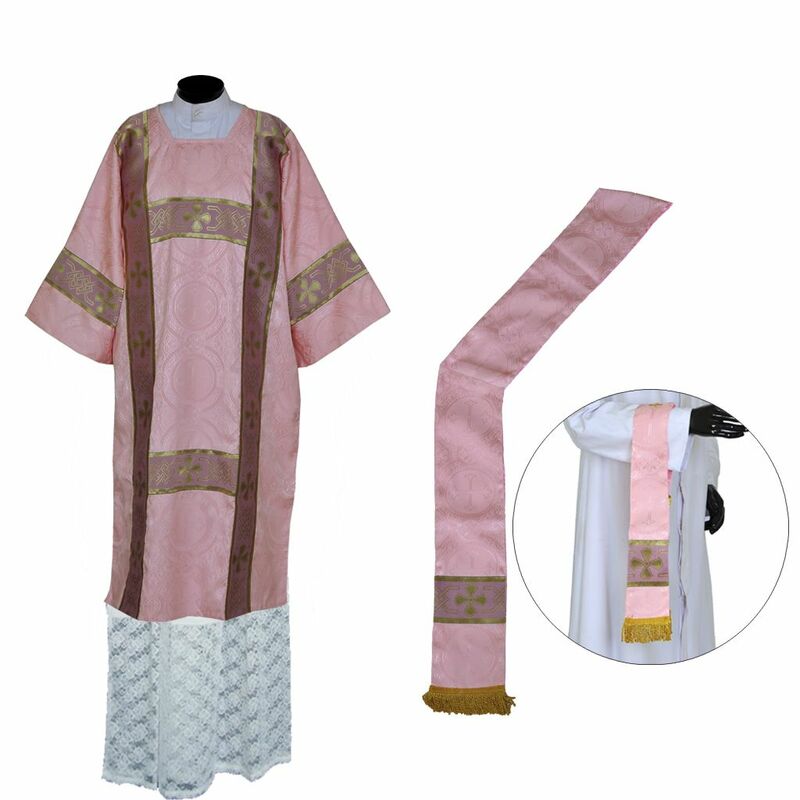 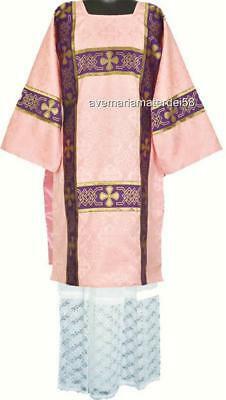 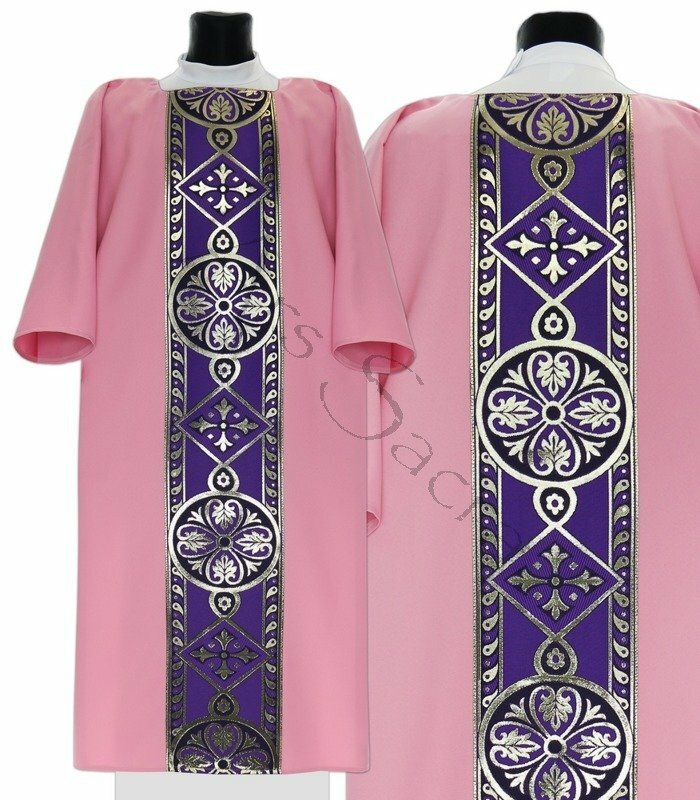 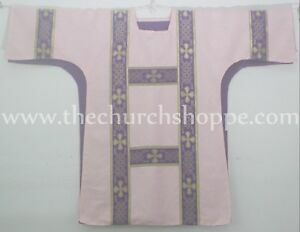 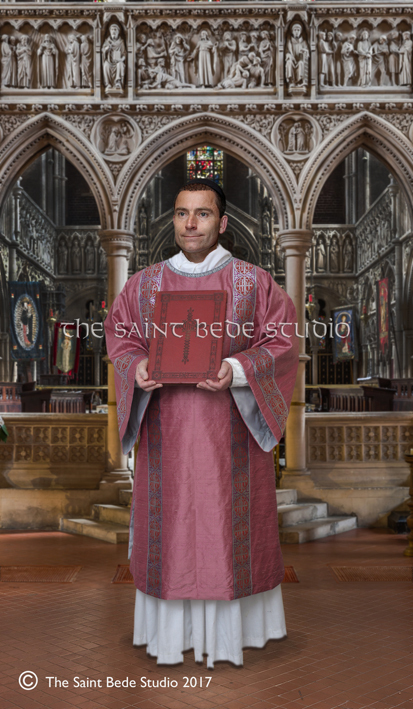 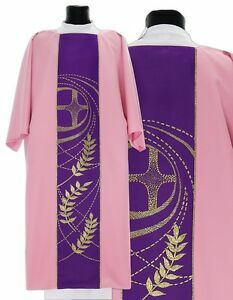 This is the rose dalmatic, maniple and stole which the Church bought for me. 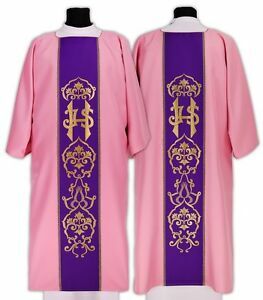 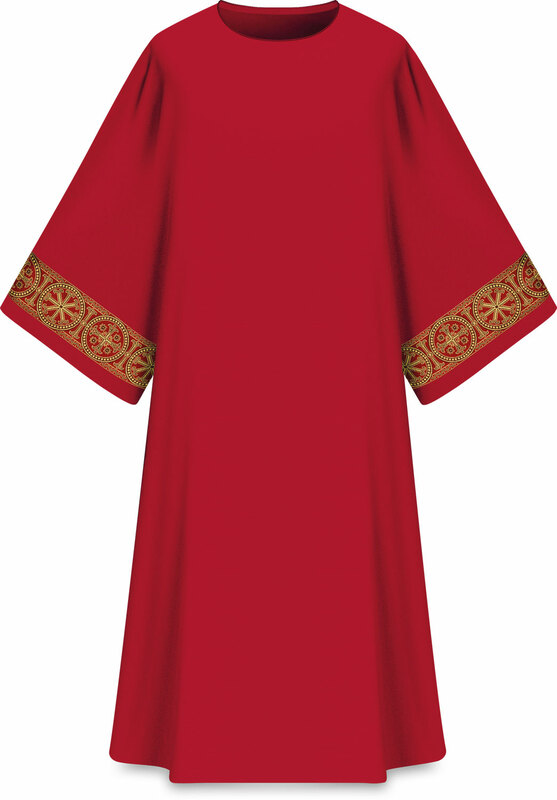 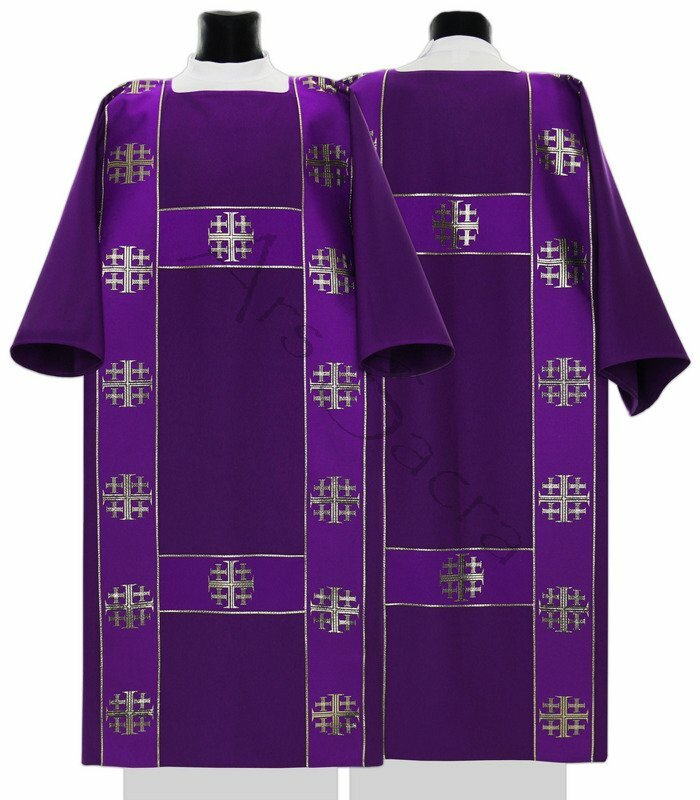 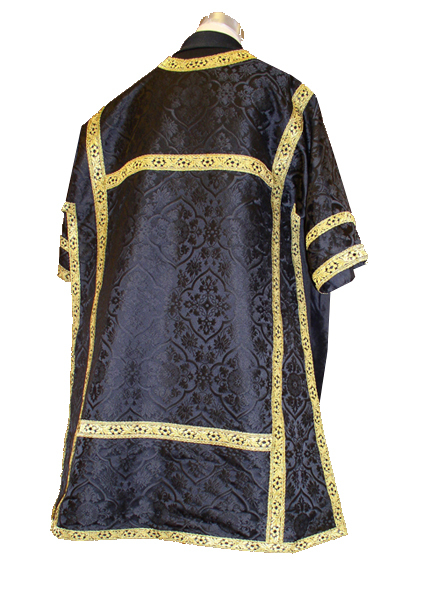 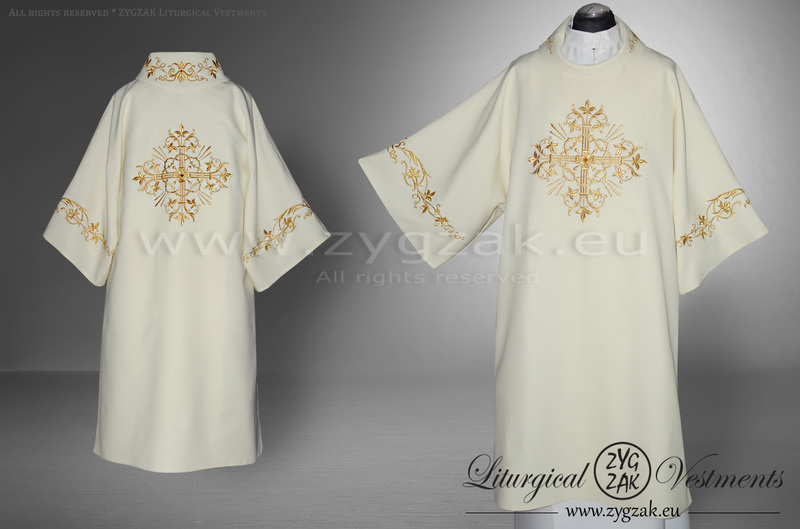 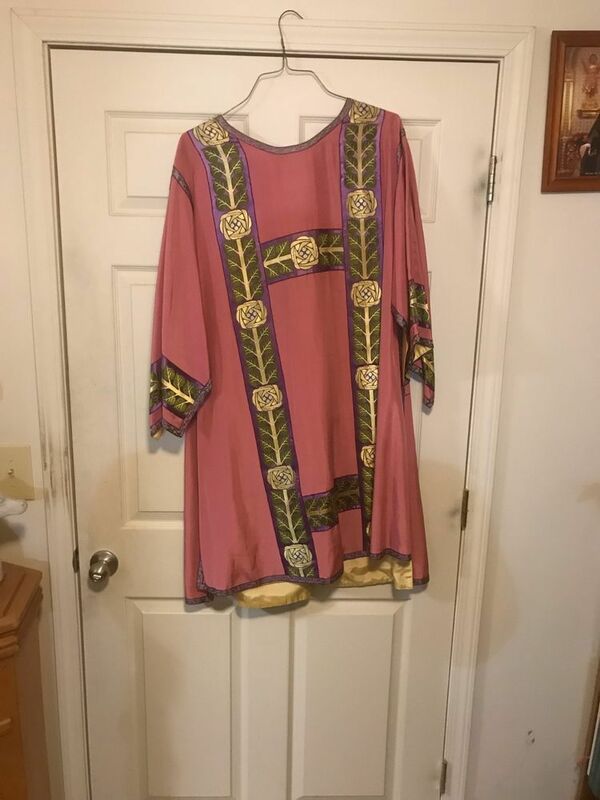 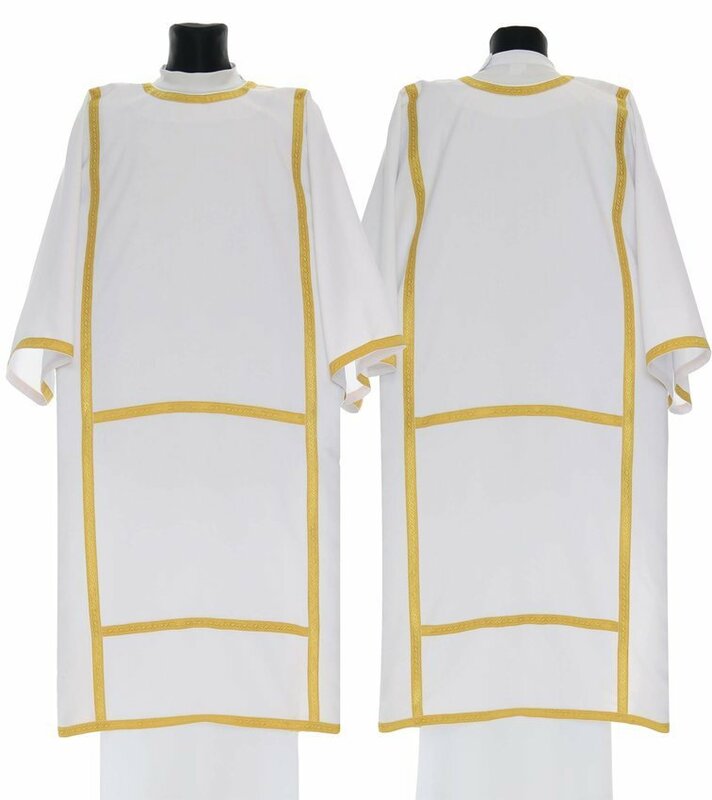 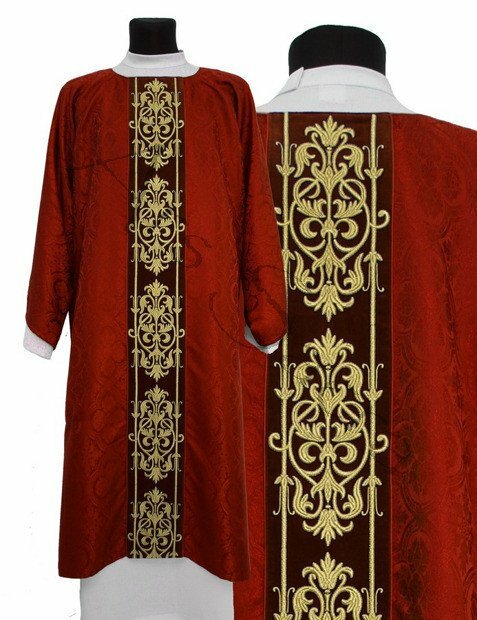 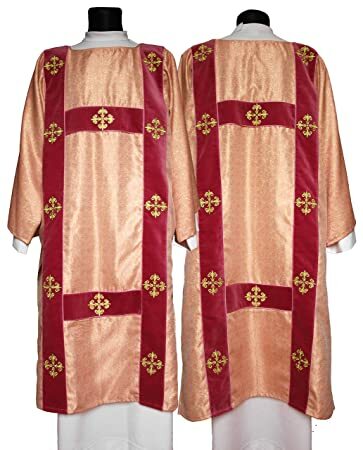 It comes from Luzar Vestments and is very fine indeed.